Way back when, long before Columbus sailed the ocean blue and centuries earlier than Cleopatra and Mark Antony, ancient Mesoamerican civilizations were drinking rich elixirs of molten chocolate. 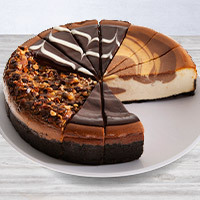 Since then, chocolate has been adopted by most of the globe, still sometimes consumed as a drink, but more often as food. 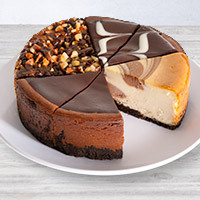 Our Chocolate Cheesecake Samplers are the perfect way to celebrate humanity's long standing obsession with the rich, luxurious flavor of chocolate that's changed the world.